Are you looking for a best home theater experience? Then, get ready to spend more. 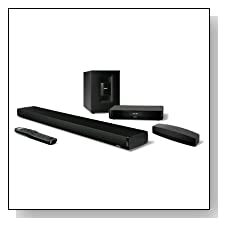 Audio systems’ market leader, Bose, has released one more incredible home theater system with powerful specifications. The new power packed Bose SoundTouch 130 is slightly expensive. The company is targeting high-ticket buyers from this premium quality model. Bose has impeccable reputation for reliable products and this model’s specifications looks impressive. However, we reserve judgment on the worth of Bose SoundTouch 130 until a detailed review. 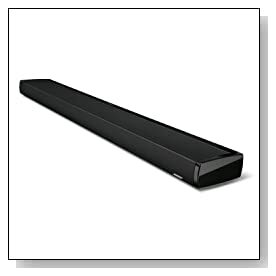 Crystal-clear audio from 37-inch flex mount sound bar. Surround sound effect without need of additional speaker units. Compact and elegant design with superior built quality. Powerful and deep bass from wireless Acoustic mass module. Compact, wireless control console. ADAPTiQ technology to auto-calibrate speaker performance to suit room acoustics. Wireless music streaming from internet radio stations, Pandora, Spotify and smartphones. This home theater system consists of a sleek 37-inch long sound bar, a wireless bass module, control console, wireless adapter, universal remote control and necessary cables. The sleek sound bar comes with flex mount technology, which ensures best sound quality at both wall mount and table placed positions. Thanks to its six incisively placed drivers and two built-in Phase Guide sound radiators, the single sound bar offers amazing surround sound effects by projecting sound to nook and corners of room. The wireless Acoustimass module produces deep bass, brings an outstanding sound experience of thunders and earthquake like sounds. Bose has power-packed this high-end model to offer unlimited entertainment to its users. The Bose SoundTouch 130 supports wireless music streaming from smartphones. The control console has built-in dual antenna for Wi-Fi and Bluetooth connectivity. The home theater system quickly pairs with smartphones and plays all most all formats of music files. This high-end model also supports online music streaming services like Pandora, Spotify and internet radio stations. The control console has five HDMI inputs to connect with TV, media player and gaming consoles. The universal remote control accompanying this model, can be programmed and used to control TV, media player and other devices. Yet again, Bose did not disappoint our expectations. The latest SoundTouch 130 has everything to offer best home theater experience. With compact and attractive design, the model is powerful enough to fill a big room with superior quality sound. Though the price seems to be on higher end, the model offers astounding movie watching experience. If the price tag does not discourage you, this home theater system will not be a bad decision to consider. Bose have always done things a little differently, and to no surprise they’ve kept this tradition when they decided to build their latest generation of audio systems. Here we review the CineMate130 system built around Bose’s high-end soundbar, offering surround sound with some interesting additions.